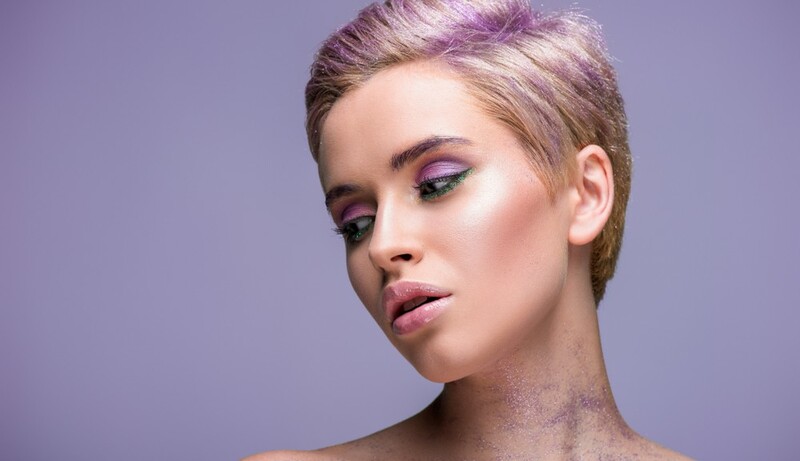 To help you out, we’ve gathered a few of our favourite 2019 hair trends we’ve been admiring on the catwalk and in salon. Looking for a mature, refined version of neon pink hair? For your next hair colour obsession, try smoky pink or lilac locks. This look – a soft, versatile pink with a chic, sophisticated undertone – is both vintage and modern at once. Pairing your smoky pink or lilac locks with a cool grey root is a great way to make this style suitable for all skin tones. Claw clips, snap clips, scrunchies… On the fashion runways, 90s style hair accessories are coming back with a vengeance, and we expect to see a surge of Instagrammers and people on the street embracing this fun, retro trend. All across the world, cuts with a blunter, sharper finish are making a huge comeback. There are many ways to embrace this style. For example, for an effortlessly chic result, consider choosing a precise, one-length blunt bob. Simply ask your stylist for a straight bob in line with your jawline, shorter at the back, longer at the front, a centimetre or two below your ears. This modern, streamlined bob can be elevated through styling. Alternatively, try a clean, straight-lined cut with ultra-fine hidden layers underneath so that the hair falls perfectly even. Done correctly, this style can do wonders for your bone structure. On the streets and on Instagram, we’ve been admiring this fun twist on the ombré trend: a natural hair colour (blonde, brunette or red) blending into a bright, refreshing colour like chocolate plum, blue, mermaid green or pink. Have you heard of pintura? It’s a colouring technique designed specifically for curly, textured hair. If you’ve got curly hair and want to add dimension to accentuate your hair’s natural beauty, ask your colourist to hand-paint your curls without foils using the pintura technique. The technique brings light to the face, while taking into account the tightness and shape of your curls. If you’re looking to change it up in 2019, consider choosing a softer version of the full-on black look: ash grey. To make this super chic style happen, ask your colourist to keep the darkest shades concentrated along your roots, with a gradual movement toward a light, silver grey at the ends. After the more carefree styles of last year, 2019 will see the rise of a more sleek, slicked back aesthetic. Think hair oil for a wet look and smooth, ultra-straight styling, brushed back behind the ears. Do you have naturally curly hair? If so, we have excellent news. 2019 is a great time to lay down that hair straightener and embrace your curls. The trending style is specifically a carefree style featuring a tighter curl to the roots and a shaggy cut, with deeply nourished ringlets. Need to schedule in a trim or hair treatment? Contact us now on (07) 3844 4766 or book your appointment online!